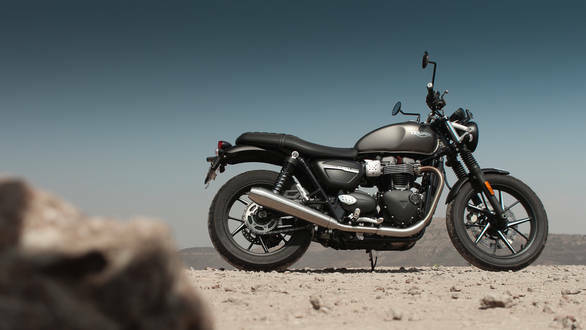 In just about three years since its launch, the Triumph Street Twin is already one of the most important members of the Bonneville family. 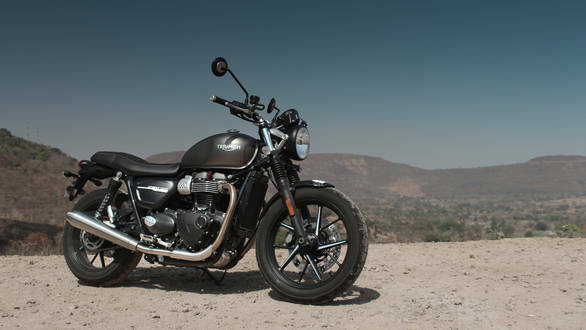 It has helped the British bike maker catch the attention of younger buyers (as opposed to older ones who are the traditional target customers for the Bonnie) and Triumph claims to have sold over 18,000 units of the Street Twin globally till date. And as I found out during the first ride in Portugal, the midlife update for 2019 only makes the Street Twin more impressive thanks to its improved performance and handling. 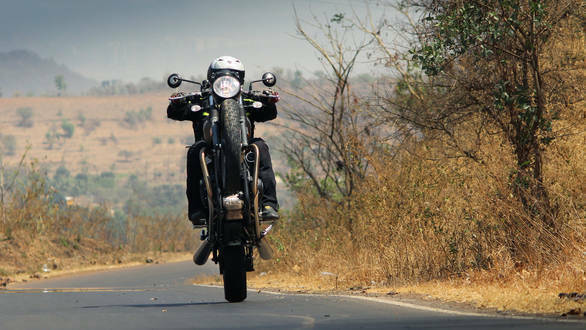 The bike is now on sale in India, so it’s time to tell you how the 2019 Street Twin feels in our riding conditions. I won’t harp too much about the design  the 2019 model looks nearly identical to last year’s bike and visual changes are minor, including slightly different detailing for the instrument cluster, revised decals and a different font for the Street Twin name. Needless to say, the classic bits on the bike that make it so good looking remain unchanged, like the brushed metal covers for the injectors, machined finish on cooling fins on the cylinder heads and more. Triumph has focused on updating bits that matter more  the powertrain and the dynamics  and the results show. 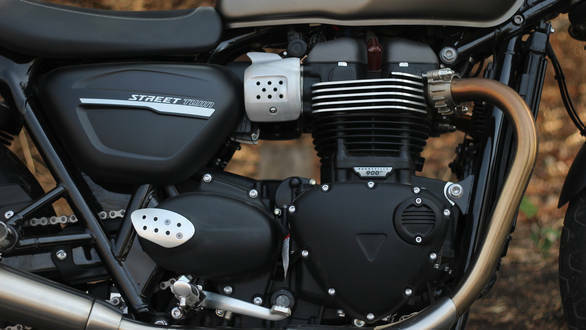 The 900cc, liquid-cooled parallel-twin engine offers 65PS now, up from 55PS, thanks to the rev range being hiked up to 7,500rpm from 7,000rpm and a few other changes like a lighter crank and magnesium cam covers. Peak torque produced remains unchanged at 80Nm, though it is available from just 3,800rpm now. The bike felt quicker when I rode it first in Portugal, and a VBOX test has helped me confirm the same. I’d clocked a 0-100kmph acceleration time of 5.8 seconds on the old Street Twin while the new one achieved the feat in 5.5 seconds. Of course, the changes to the engine also help it rev quicker while feeling more refined, which helps the bike’s acceleration too. 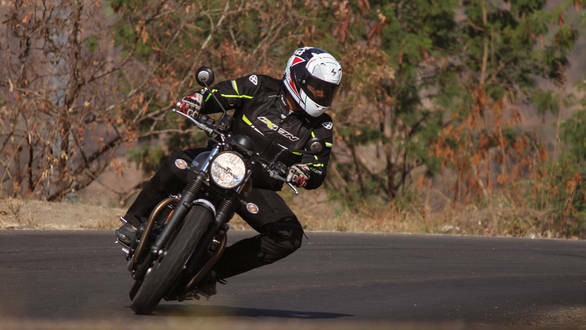 The bike’s highway manners are appreciable too  despite using only a five-speed gearbox the 2019 Street Twin is comfortable cruising between 110-120kmph. The engine does not feel stressed at the speeds and overtaking is an easy affair on most occasions too. You don’t even need to downshift unless absolutely needed as the midrange performance ensures there’s enough thrust. The Street Twin feels engaging in as well, though engine heat can be a bit of a concern. It does not get searing hot, but the parallel-twin motor did send blasts of hot air onto my right leg which gets uncomfortable in typical Indian summers with temperatures north of 40 degree Celsius. Moving onto the bike’s handling, the Street Twin gets updated suspension in the form of 41mm cartridge-type forks upfront now. These had impressed me in Portugal in terms of handling, as the bike’s stability has improved, but I was concerned the firmness of the setup might be an issue on Indian roads. The 2019 Street Twin though has surprised me with its balance between ride and handling. Of course, the bike feels more accomplished on the handling front, be it in terms of high speed cruising on highways or corner carving. There’s also a better sense of confidence around corners now thanks to the improved stability which lets you open the throttle earlier. That said, while the Pirelli Sport Comp tyres on the bike offered ample grip in Europe, I was left wanting for some more grip on our roads. Overall the 2019 Street Twin is a sportier, more confident handler though, which coupled with the improved engine performance makes it more fun to ride. But what took me by surprise was the impressive ride quality. The Street Twin’s ability to soak up undulations is commendable and it wasn’t upset by bumps, even mid-corner, while ride quality over broken roads is surprisingly good. This makes for a likeable ride overall and the Street Twin thus feels even better packaged. 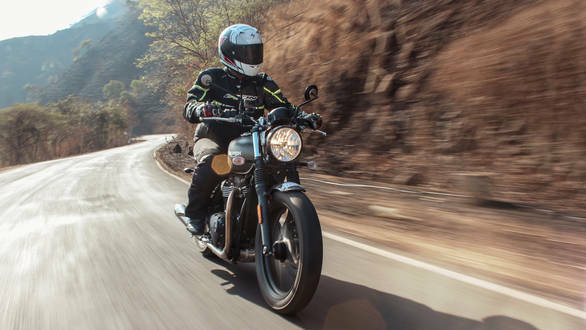 On the whole, the 2019 Triumph Street Twin is more likeable and offers a more engaging experience than before. 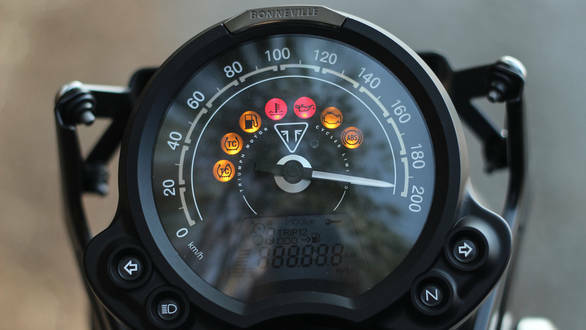 The improved performance and handling, updated rider aids and simplistic approach to everything help in making it a likeable everyday motorcycle that’s also up for the odd long ride on a weekend, though I would like a cushier seat for the purpose. The bike’s excellent build quality also helps in making it likeable. The bike is priced at Rs 7.45 lakh ex-showroom, a minor drop from the older bike’s price of Rs 7.83 lakh.